Well owners are strongly encouraged to test their well water annually for pathogenic bacteria and nitrates. Here is an article that brings home the reason for sticking to this schedule: Well Water Found to Contain Nitrates. Nitrates can be found in potable water from several sources. The most common are nitrogen-containing fertilizers, leachate from septic systems, or runoff from agricultural activity. Nitrates are mainly a health concern for infants under the age of two. Treatment: Nitrates can be removed by reverse osmosis or by an ion-exchange resin specific for nitrate removal. An ion-exchange resin functions much like a water softener. https://drinkingwaterspecialists.com/wp-content/uploads/2016/12/dws-with-girl-392x72.png 0 0 Mike Beek https://drinkingwaterspecialists.com/wp-content/uploads/2016/12/dws-with-girl-392x72.png Mike Beek2013-12-15 16:16:502013-12-15 16:16:50Nitrate in Well Water? Well Owners: Contaminants in your well water may lead to health issues like neurological disorders, gastrointestinal illness, and reproductive problems. More vulnerable members of your family like the elderly, infants and pregnant women are especially at risk. We continue to harp on well owners that you are responsible for testing and maintaining the quality of your drinking water. I urge you to read the article and and then get your water tested. You need to make sure your well water is the highest quality possible. It’s actually very easy and doesn’t cost an arm-and-leg to do. Don’t assume there’s not a problem just because there’s no unusual illness in your family or you don’t see or smell anything unusual in your water. We’ve spent a lot of time coming up with a water test for the key contaminants that can affect your health. Our lab director has tested over 60,000 wells over 30 years as a lab director. Using his extensive scientific background, he has identified exactly which contaminants need to be tested in order to give the well owner the information they need to keep their well water safe for their family. What we’ve come up with is to test for a list of essential indicators–those contaminants that, if found to be at a high level, can be easily treated. And, once these contaminants have been treated, other related contaminants will also respond to the same treatment. Because it reduces the total number of contaminants that to be explicitly tested and, therefore, makes the test very affordable while giving the well owner the information they need to make their well water safe. Even the state with the most stringent regulations for well water testing. New Jersey, uses the ‘essential indicators’ model when a well needs to be tested if a house is sold. No other mail-order lab we know does this. Read more about essential indicators testing and learn why it’s the best choice. Texas Town is Running Out of Water! …and it’s a problem that may spread.The combination of nearby fracking operations sucking underground water away from the local residents, and climate changes causing drought. Here’s a video that lays out the issue facing the small town of Mertzon Texas. Water is a scarce natural resource and in this town there is a conflict between companies who use water to extract oil and natural gas out of the ground and homeowners who need it for drinking, bathing, and washing. There clearly needs to be an open discussion among all parties about the priorities of the stakeholders. Clearly one stakeholder group cannot take all of the natural resource just because it makes them rich. On the other hand, the other group needs to be open to some compromise. In this case, it looks like the local government is taking a ‘hands off’ position. Makes you wonder why. Water is just too precious and scarce for local authorities to bury their heads in the sand. https://drinkingwaterspecialists.com/wp-content/uploads/2016/12/dws-with-girl-392x72.png 0 0 Mike Beek https://drinkingwaterspecialists.com/wp-content/uploads/2016/12/dws-with-girl-392x72.png Mike Beek2013-08-21 21:46:112015-02-12 17:56:04Texas Town is Running Out of Water! This is exactly what we think anyone who lives near a drilling area, whether it’s for gas or oil, should do. Because having the water tested before drilling begins establishes a baseline for the possible contaminants that may enter the water supply. Whether it’s a public water supply or a well on the homeowner’s property, this makes a lot of sense. By establishing a baseline followed by periodic testing, it’s then possible to track the levels of the contaminants being tested. That way if a specific contaminant is showing an increasing level in the water, this can be brought to the attention of the local authorities who can work with the drilling company to resolve the issue. 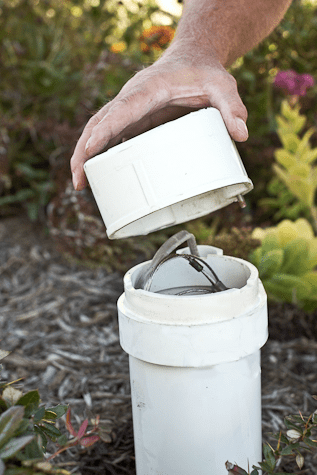 A homeowner who owns a well can install a treatment device to filter out the specific contaminant while the local authorities resolve the problem. Here’s the link to the original article we found in the Wyoming Star Tribune’s web site, trib.com. A really good water test for this purpose is our ‘Bang for the Buck’ Essential Indicators Water Test. 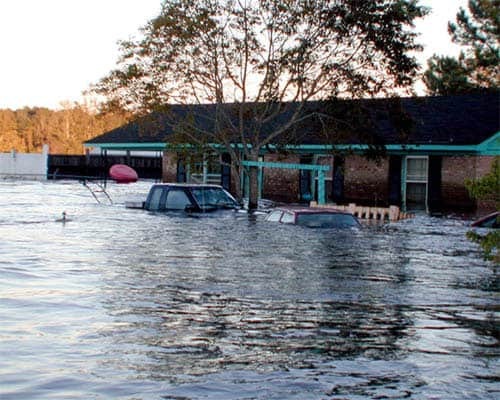 Since 2009, the residents of Ellendale, Delaware have had to deal with contaminated water. It’s really odd that the best the Delaware environmental and public health officials can do is hold a ‘workshop’ on the current state of affairs. I know that well owners are pretty much on their own when it comes to the quality of their drinking water. this article does not say whether or not they are working to clean up the cause(s) of the contaminants such as MTBE and benzene. If I lived in Ellendale and if I owned a well, I would get a professional lab to test my water. Based on the results, I would then get the appropriate treatment to overcome any contaminants that may be in my well water. I would also take the preventative measure of sanitizing my well. I would do both of these things on an annual basis. The original water test should be saved as a baseline against which you can compare the follow-on tests. This will tell you if the level of certain contaminants are either going down or going up. If you want, you can share this information with your local health officials. Hopefully, they can take steps to track down the source of the problem. I would also encourage my neighbors to do the same. The more datapoints that can be collect the better. 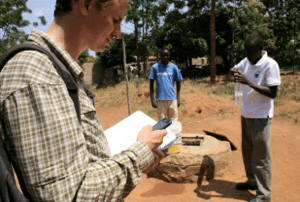 Learn more about water testing and sanitizing a well. Can Bacteria Remove Nitrates & Nitrites from Well Water? Can it really be true? This article set me back on my heels. The article didn’t say what bacteria is being tested for doing this, but if it’s a pathogenic bacteria, it will be really interesting to see where and how they plan to introduce it. We all know that pathogenic bacteria such a e-coli or chloroform presents a real health hazard if it’s found in well water. In fact, if it’s found, the well owner needs to sanitize their well immediately. That’s why we created our Well Water Wellness Kit. I’ll try to monitor this experiment to see if I can learn more specifics and if do, I will post it here—so stay tuned. You can read the original story here.Can it really be true? This article set me back on my heels. https://drinkingwaterspecialists.com/wp-content/uploads/2016/12/dws-with-girl-392x72.png 0 0 Mike Beek https://drinkingwaterspecialists.com/wp-content/uploads/2016/12/dws-with-girl-392x72.png Mike Beek2013-08-10 23:25:372013-08-10 23:25:39Can Bacteria Remove Nitrates & Nitrites from Well Water? …or, you may only know about it from the gear-wheel signs you see when you enter a town telling you where and when they hold their local club meeting. But, there’s a whole lot more to Rotary. On of the best programs created by Rotary International involves teaming up with a local Rotary clubs, say in the U.S., to support in-country local Rotary clubs to fund an approved project for that country. The local club comes up with the project, and if it’s approved by the Rotary District of the local club and by Rotary International, the local club works with the in-country club to manage the project. One of the beauties of the program is that the local club contributes money which is then matched by the club’s District and by Rotary International. That enables the local club’s contribution to by highly leveraged to support large projects that the local club could not afford on their own. One area of focus by Rotary International is bringing clean, safe drinking water to places around the world that do not have potable water. 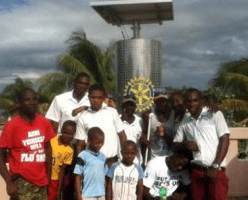 The Rotary Club of Savannah GA initiated a project to bring quality drinking water to a school in Haiti where only 58% of the population has access to safe drinking water. Read more ab0ut this project here. If you don’t know much, or anything about Rotary International, I encourage you to visit a Rotary Club in your area when they hold one of their meetings. You will find it’s made up of local business people who help support projects in your area and around the world. It’s great for networking with the movers and shakers in your area. It’s a very rewarding experience to be able to give back. 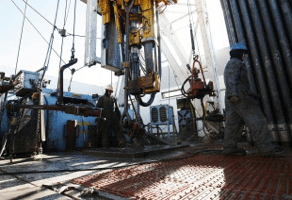 Fracking and Well Water: Who Do We Believe? Here’s an article that professes to lay out the case that the EPA was coerced by the Obama Administration during the 2012 election to basically deny there was a link between hydraulic fracturing (fracking) and groundwater contamination. This supposedly happened in an area of Pennsylvania. If true, it’s really a sad state of affairs. We depend on the EPA to take its role seriously without political or other outside influences. For me, it’s another indication that we individually need to take matters into our own hands. This is especially true if we get our water from a well on our property. There are no government requirements for testing our well water for contaminants. If you live in an area where fracking is taking place, you could be subject to contamination because of the chemicals from the fracking operation finding its way into your well water. If you live downhill from the drilling operation, I’d suggest you be especially vigilant. So, what should you do to protect you and your family. Our recommendation is that you have your well water tested by a professional lab that follows EPA testing methods. The sooner you do before or after the fracking begins the better. That’s because it gives you a baseline that you can use to compare future tests against. We’d suggest you test on at least an annual basis. If you begin to see changes in the level of some contaminants, you can then take action to reduce or eliminate the level of those specific contaminants. You might even take your reports to your local health department. In all honesty, they should be proactively testing well water in fracking areas, but that’s not the norm. Click here to read the article about the EPA action that got me to write this post. If you’re looking for more guidance about how to protect you and your family by having your well water tested, click here. https://drinkingwaterspecialists.com/wp-content/uploads/2016/12/dws-with-girl-392x72.png 0 0 Mike Beek https://drinkingwaterspecialists.com/wp-content/uploads/2016/12/dws-with-girl-392x72.png Mike Beek2013-08-06 21:38:042013-08-06 22:20:57Fracking and Well Water: Who Do We Believe?